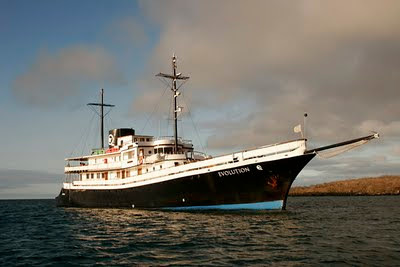 Leading small ship cruise company AdventureSmith Explorations, http://www.adventuresmithexplorations.com/ that secures matches between adventure-seeking clients and a treasure trove of expedition ships, announces a two-for-one special (cruise rate only in shared cabin) for four late summer / early fall departures in the Galapagos on the classic motor yacht Galapagos Evolution. For this same trip, guests may add a complimentary 4 night / 5 day Amazon adventure extension plus free extras valued at $600 per person if they forego the two for one offer and pay full price for the cruise. Bookings must be made by July 30. "Special offers like this are increasingly rare in the Galapagos, especially during the popular months of August and September when temperatures are most pleasant for hiking and wildlife viewing," said Todd Smith, company owner and founder. He noted that the Galapagos Evolution is a unique adventure ship that has all the modern amenities "in the spirit of bygone oceangoing luxury" yet retains the adventurous atmosphere of a smaller expedition vessel. The company was named by National Geographic Adventure as one of "The Best Adventure Travel Companies on Earth" and is the recipient of Conde Nast Traveler's prestigious "World Savers Award." In June of 2011, Andrew Browning, a vacation sales consultant with AdventureSmith Explorations received TravelAge West's Wave Award in the category of Trendsetters - Upward Bound, RockStar Agent Under 40.